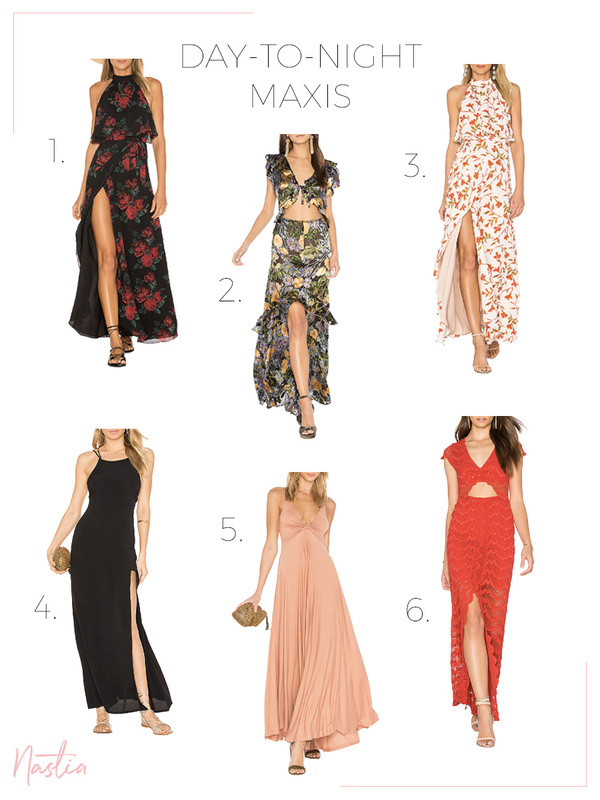 Today I’ll be sharing my 6 Favorite Maxi Dresses that effortlessly transition from day-to-night along with some of my favorite accessories to complete the look. I love the elegance a floor length maxi brings to any outfit and occasion (they’re pretty much my favorite fashion invention, ever.) One of my favorite parts about wearing a maxi dress is that you can flawlessly transition this look from day-to-night. This effortless silhouette offers so much versatility, whether it be for a more casual day at brunch with your girlfriends or for a formal wedding in the evening! During the day, pair your maxi with your favorite set of Gladiator sandals, loose beach waves, and a crossbody purse. For your nighttime look, glam-up your maxi by styling with strappy heels, shimmery jewelry, an elegant up-do, and a statement clutch. It really is as simple as that! Make sure to shop some of my favorite maxi dresses & accessories below! Hiya, I’m really glad I have found this information. Nowadays bloggers publish only about gossip and internet stuff and this is really frustrating. A good web site with interesting content, this is what I need. Thank you for making this web site, and I will be visiting again. Do you do newsletters by email? Hello there. I found your web site by means of Google while looking for a comparable matter, your site came up. It looks good. I’ve bookmarked it in my google bookmarks to visit then. I definitely wanted to send a brief note in order to say thanks to you for these splendid tips you are sharing on this site. My particularly long internet investigation has at the end of the day been rewarded with incredibly good concept to share with my visitors. I would say that many of us site visitors are truly lucky to dwell in a useful site with many lovely professionals with very beneficial plans. I feel very much happy to have seen the web site and look forward to many more fun moments reading here. Thank you once more for a lot of things. however what if you added a headline that grabbed people’s attention? I mean Shop the Trend: 6 Maxi Dresses That Go From Day-to-Night – Nastia Liukin is kinda vanilla. You should glance at Yahoo’s home page and note how they create news headlines to get people to open the links.